In this 10th March 2018 , got something happen in railways station in Baotou , China . That is about ghost train approach at there for 20 seconds about , this ghost train capture by CCTV at there station . 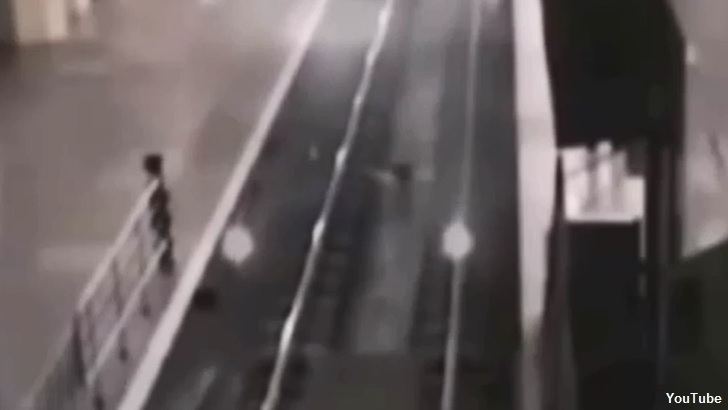 This looking bit got freeky it because this s reality about this ghost train and looking to waiting some spirit at there to use this ghost train , so sometimes this anything will be happen it , just only us believe it or not ? 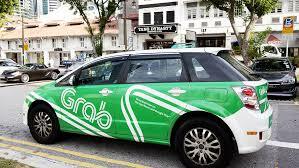 Us also don't know where this ghost train will be move where next destination about it ? 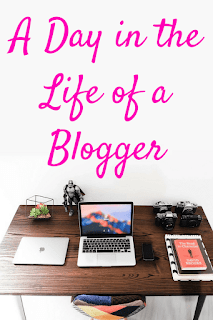 Today is a Blogger Day so this is looking excellent for all blogger in this world , maybe some blogger at outside there will be make celebration about it too . If you is a blogger will be looking proud about it because this is how some people will be remember about you is a excellent blogger in this social media , don't care what blogger you will be in this life . 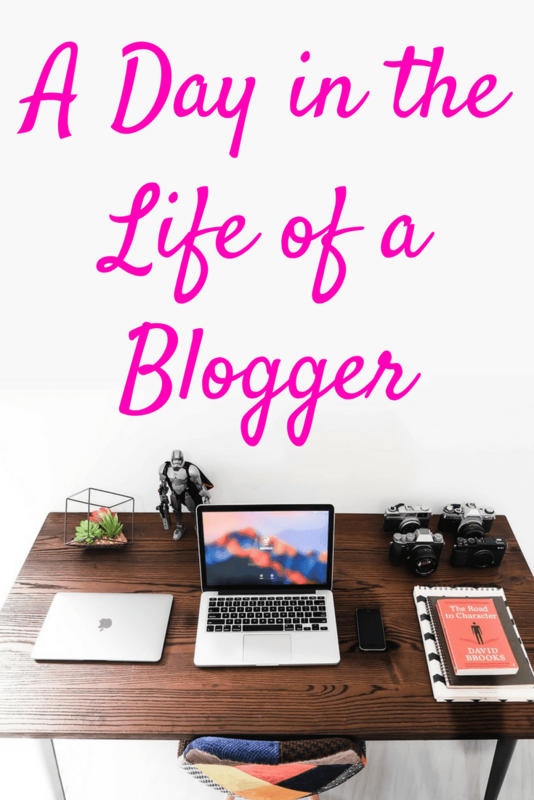 Normally blogger is a looking small character but that have a largest audience in this world , so how different it in this social media . Already four years about vanishing of Malaysian Airlines MH370 , until now still don't have any clue about where this plane missing it ? Many people still waiting the truth about this plane with bring 270 people on board be vanishing in the midnight . This plane is looking excellent with high class system and how be suddenly vanishing it , many question about this how be happen it ? 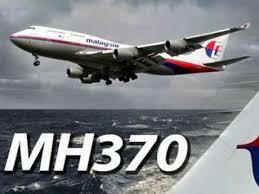 Whatever our hope one day can be find this plane's body and will be know what happen it . Some people theory about this plane flight into Wormhole and already at another world , but think back that impossible too will be happen it . Normally just only 270 people on board that during time will be know what happen it , now all Search And Rescue must be take a time to plannig back with continue to find this plane missing . All victims family and friends still get hope can be know the truth one day , so whatever this month is a Tribute To MH370 will always remembering all the victims . 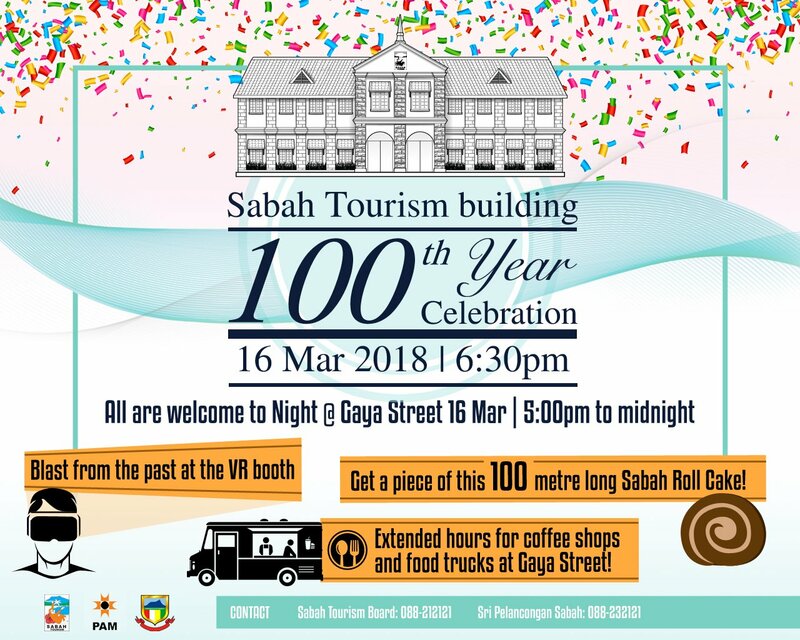 This Friday got special event in Kota Kinabalu about it , that is about Sabah Tourism Building with 100th Year Celebration with many activities also for public citizen , that also will be looking excellent about it too for all Sabahan . 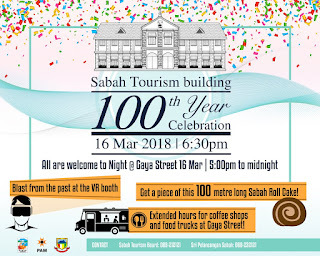 That is oldest building with many history from British Colony arrived in North Borneo ( now Sabah ) to build this building for theirs , when during theirs at here . This building is looking so beautiful and different then another history building in Sabah , whatever is must be proud about it because still looking great stand from past until now . About this building also got be post office in 1947 , so all can visit this building when this Thursday and will be know more history about this building . 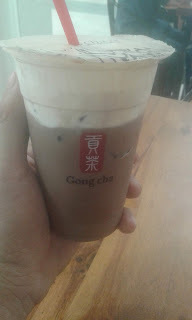 About this location is at Gaya Street there , so all can be bring family or friends to join this oldest building celebration too . Actually this month is a have special moment about this world , maybe somebody will be remember about this Earth Hour activity will be happen in this March every years , this is looking so excellent it because how our save this planet with living without light at everywhere in one hour . 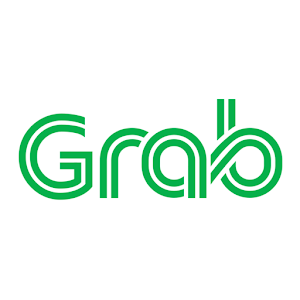 This campaigns already start in 2008 again so can be say already ten year active this campaigns , all around the billions people in this world will be joins this campaigns . About for me this is good campaigns for all people to joins it and looking will be know how to save this world , I'm also will be join it too this campaigns . Now many country know how important about this Earth Hour include our country Malaysia also join this campaigns . 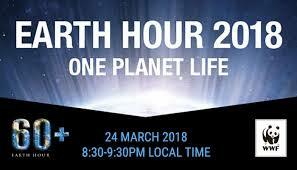 Just be light off in one hour can be saving a billions living in this world , about World Wildlife Federations ( WWF ) also support this campaigns . So this looking will be wonderlust too , about all bloggers in this world also will be looking start blogging about this Earth Hour and how interesting about it saving all living in this world with one hour light off . So if you is a blogger like same with me be support this campaigns it too and don't missing it with feel how excellent it with all friends at outside there joins this campaigns . 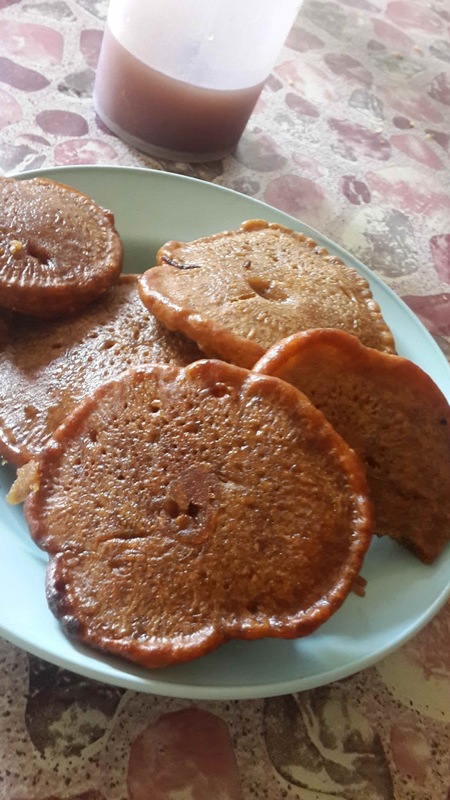 Today my wife at home to made popular pastry , that is was Pijaram . About this pastry always be Malaysian be choose it for during tea break at home or outside , because this looking so delicious it and nice yo eat . About my wife made this Pijaram and looking be make me can eat more than one with so delicious it , this also second time my wife make this Pijaram at home . Whatever my wife also too have bit talent with make pastry it , how to maybe one day can be doing own bussiness and sell at outside there .